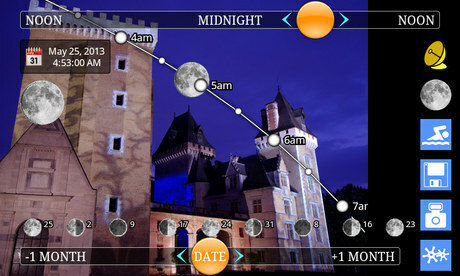 Welcome to MoonTrajectory.netLook through your phone and see the path of the moon! 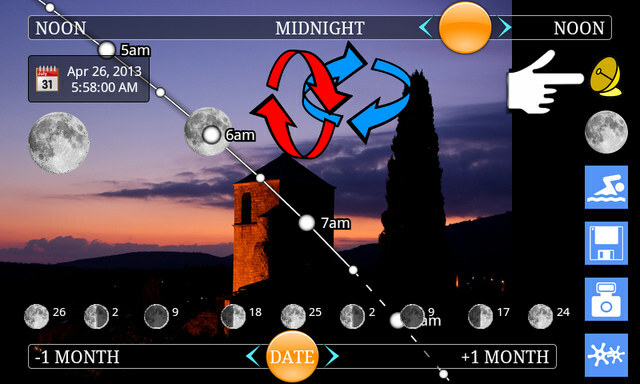 Find out if the moon will be full or what phase it will be in. 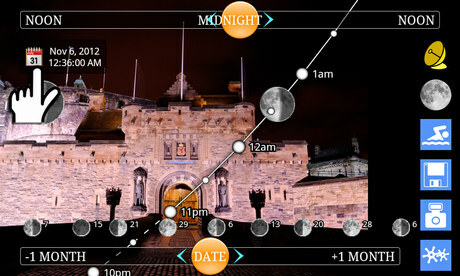 Plan not only the moonrise and moonset times, but also when the moon will be hidden by a building or a relief. Travel in time and see what path the moon will follow in the months to come. 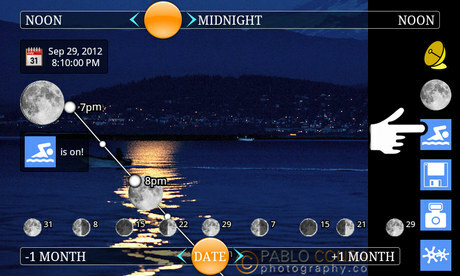 Plan to include the moon in your pictures, whether by day or night. Plan when a subject (like a statue for instance) will be aligned with the moon. 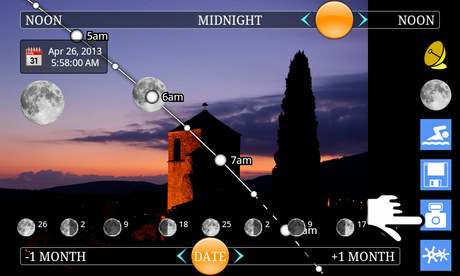 Drag or tap to change the date and thus pre-visualize the moon trajectory in the weeks or months to come. 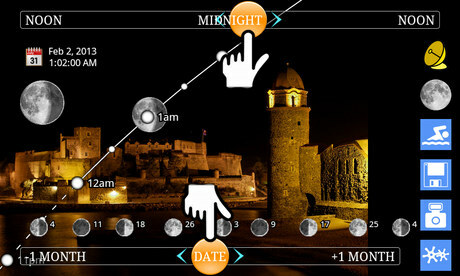 Drag or tap to change the time and make the moon run along its path on the selected night. 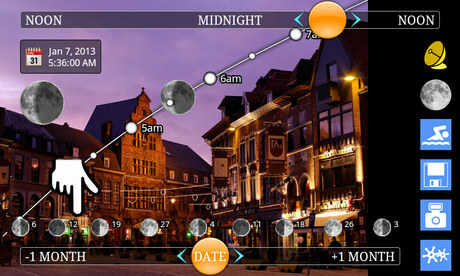 You can then change the date and consult the moon path without having to keep the phone steady. AppsZoom . "UI is great and features are very interesting." Seeing The Light . "A really useful tool."